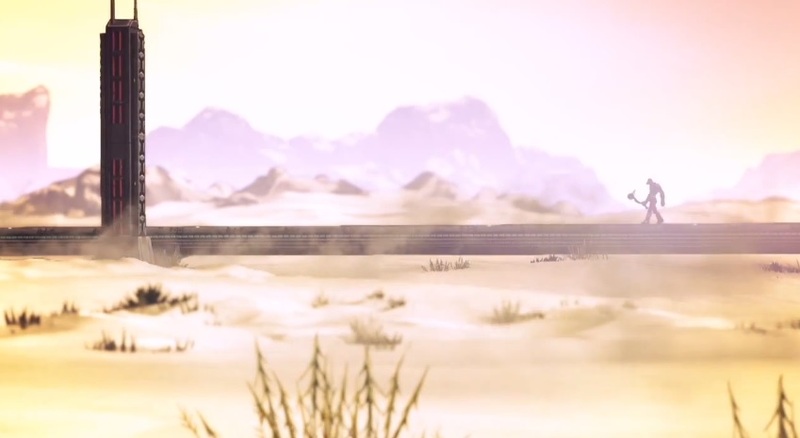 Gearbox continues to pump out Borderlands 2 content. They recently dropped this short video on Krieg, giving a little insight into how a Psycho Bandit got in good with our beloved Vault Hunters. It turns out Krieg was just a normal country boy, growing up in the Kentucky of Pandora, otherwise known as Pantucky. One day while he was out fishing at the ol' swimming hole he heard a ruckus coming from his beloved home. And this wasn't your typical Pandoran hovel. We're talking white picket fences, quaint country gables, and a nice porch for sitting and sipping on iced tea. There was a well manicured lawn, and everything. His father could often found working around the house while mother sang songs in the yard. Krieg also had several young siblings who would while away the hours clambering about the brightly colored playthings his father had salvaged from far off scrap heaps. At leas that's what I think happened. The following video has nothing to do with any of that. It's all slap-sticky Borderlands 2 nonsense. Enjoy the poop joke! Borderlands 2 supports two player local co-op, four player online co-op, and combo co-op. It's available now on the Xbox 360, PlayStation 3, and PC. The Psycho Bandit DLC is available for download as well. It will cost you $10 or 800 MSP, and it is NOT part of the BL2 Season Pass. You can read our thoughts on Krieg and how he handles as a cooperative character in our hands-on impressions here.